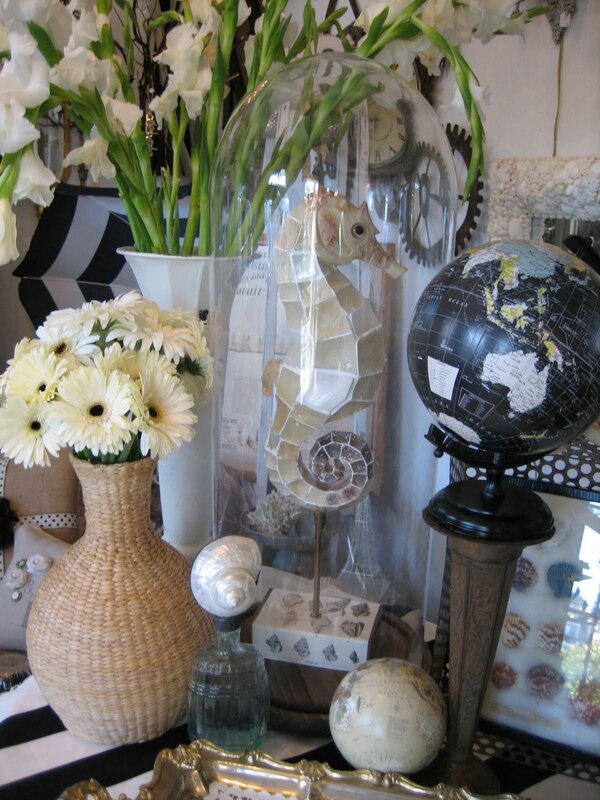 Summertime was officially launched yesterday at our seaside fete & I think, as everyone who attended can attest, it was white haute summer chic. 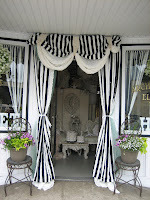 overheard as people looked in our windows & waited to get in the front door! 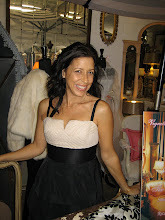 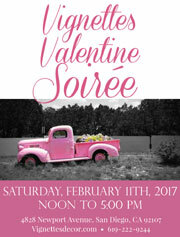 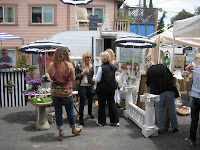 Every dealer here stepped it up a thousand knotches for our French Riviera theme - there was beaucoup vintage, coastal chic everywhere you looked, fabulous canapes, bubbly pouring all day & a packed French Flea Market in our back lot. 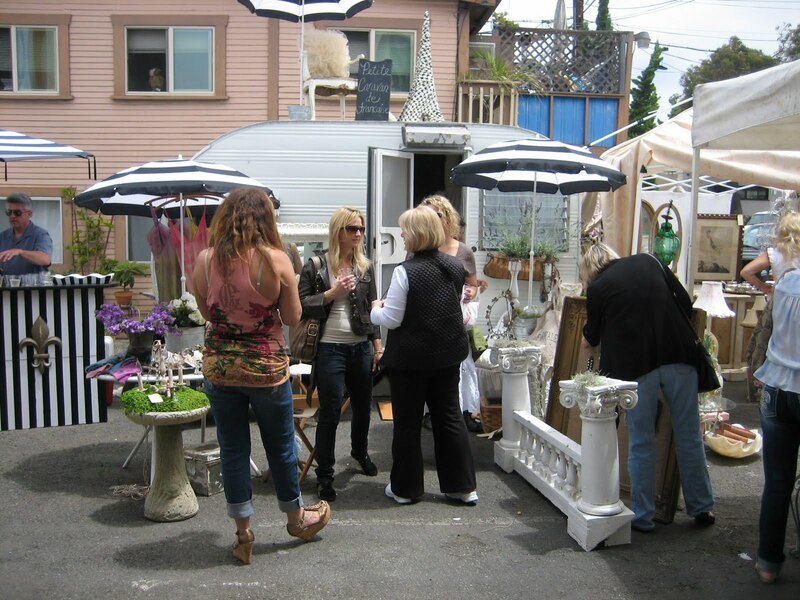 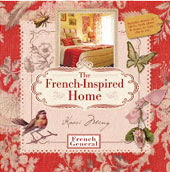 The centerpiece of the flea market was Sandra Finn’s amazing “Petite Caravan de Francais”, (a 1950’s travel trailer) that had been completely refurbished with Sandra’s masterful designer mojo behind it, culminating in a pied-a-terre on wheels that had every single man & woman oohing & ahhing over it. 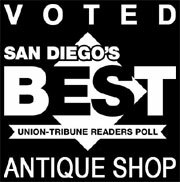 That’s why it sold in the very first hour! 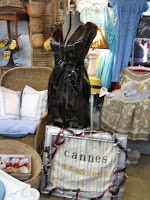 Oh mais oui - Fabulously French doesn’t begin to cover it. 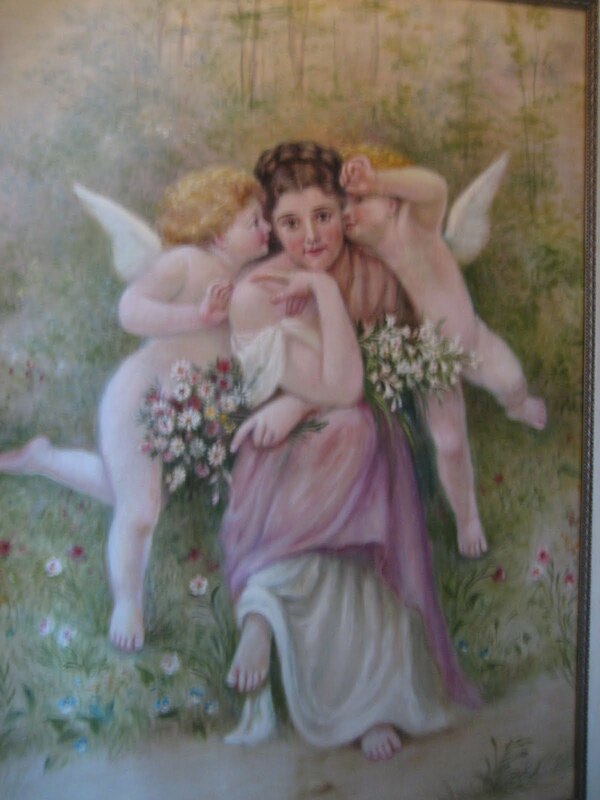 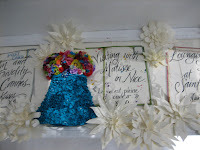 In the front room, Karen Lampard of Café Paperie once again waved her magic wand (& enormous artistic talent/genius) & Voila! 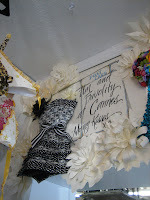 Woven paper & duct tape, haute Couture, Bathing suits & Bikinis! 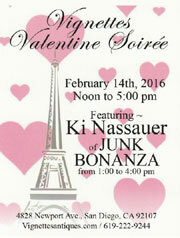 I kid you not - Ooh La La - times a bizillion! 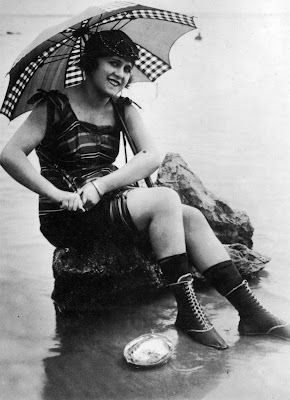 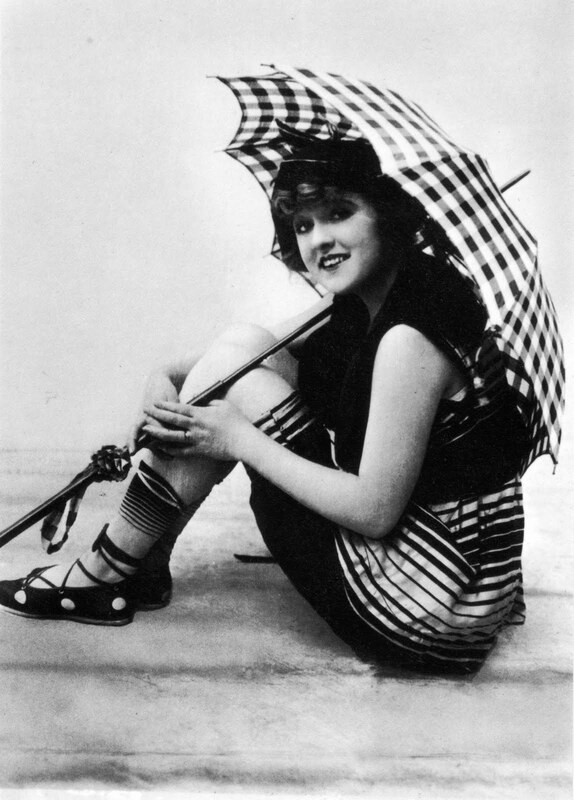 You must come see them because after viewing these bathing beauties - you’ll never look at a swimsuit the same way again! 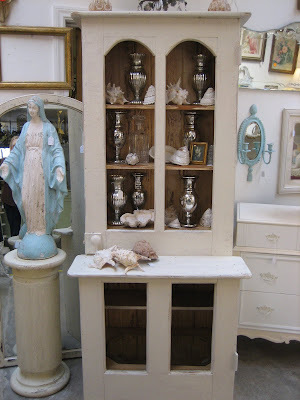 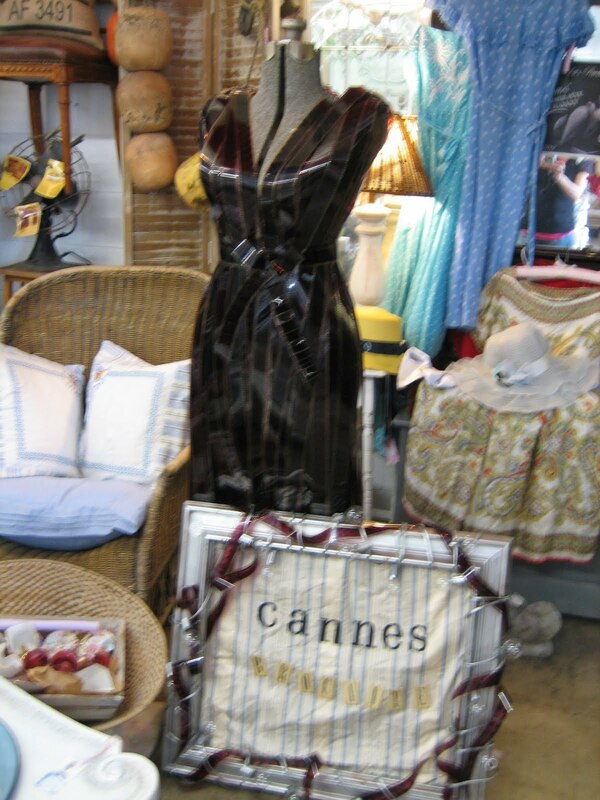 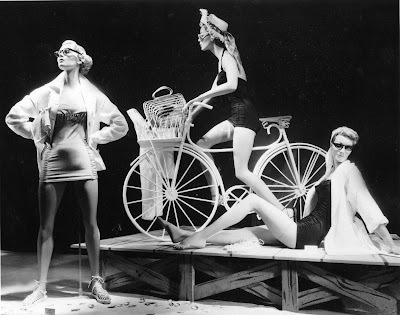 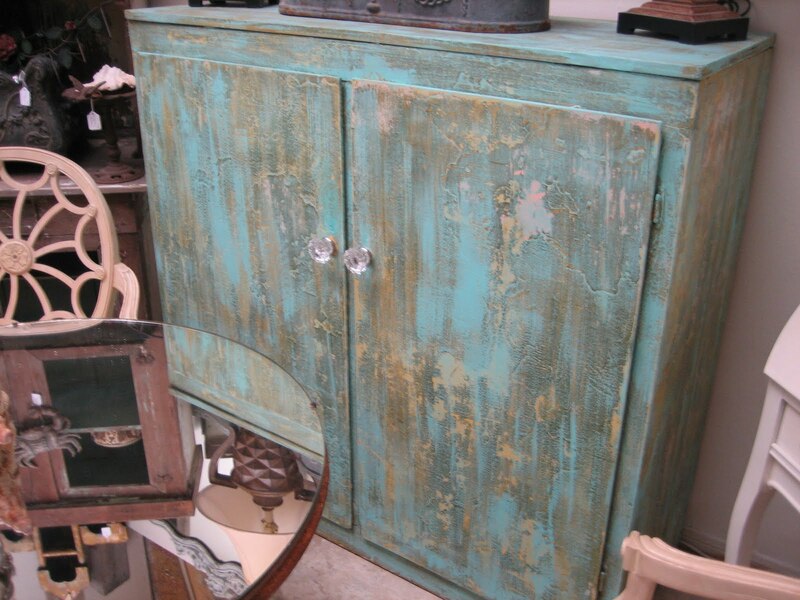 Our forecast calls for weekly arrivals of beaucoup vintage, coastal chic! 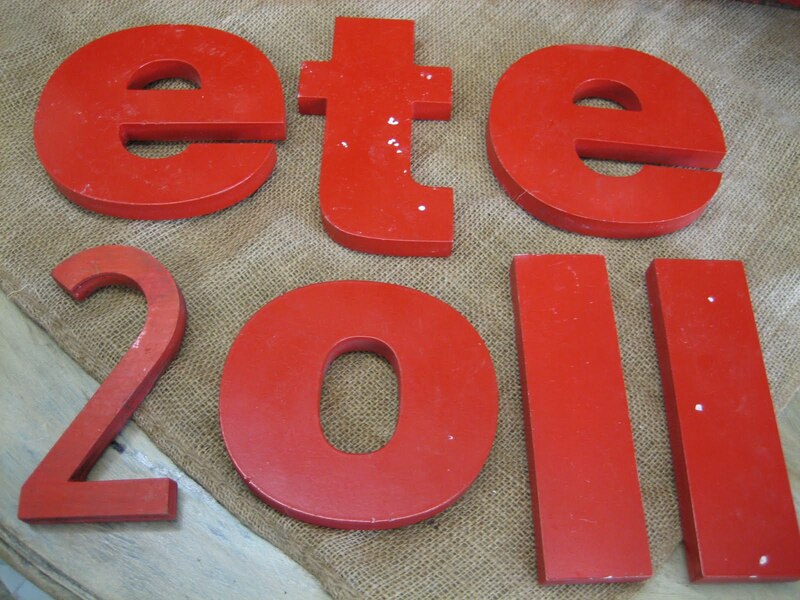 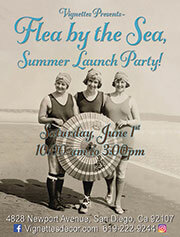 The countdown has begun to this Saturday, May 28th, & our fabulous Seaside Summer Fete here at the beach! 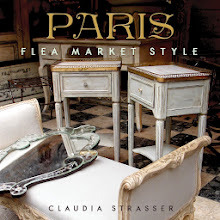 What better way to kick off your summer than with shopping, food, friends, more shopping, champagne cocktails & a French Flea market? 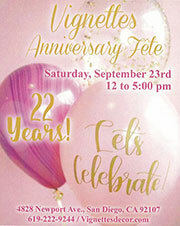 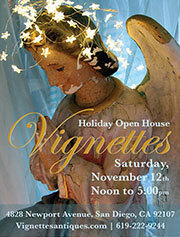 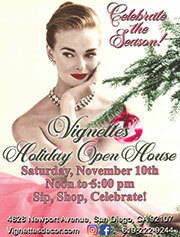 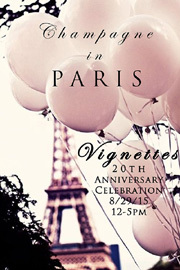 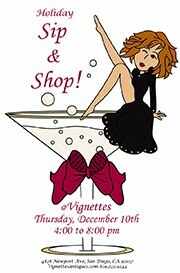 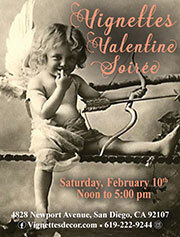 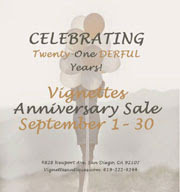 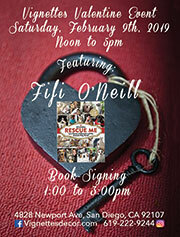 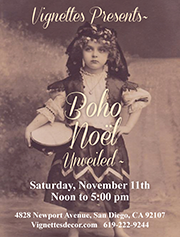 Come join the celebration…Noon to 5:00 pm. 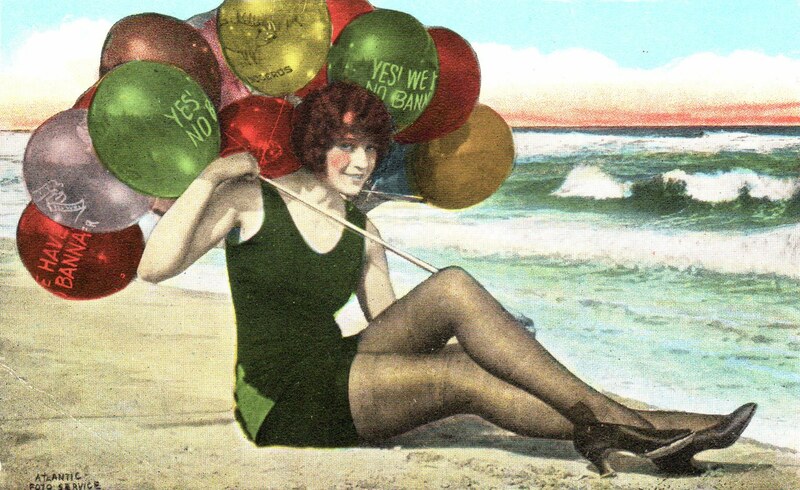 The weather’s beautiful - You’ve got to be here! 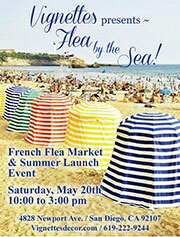 We hope you’re planning on joining us for our Seaside Summer Fete, next Saturday, May 28th! Whether you come by car, fast train, or private jet, there will be no better way to kick off your summer than this. 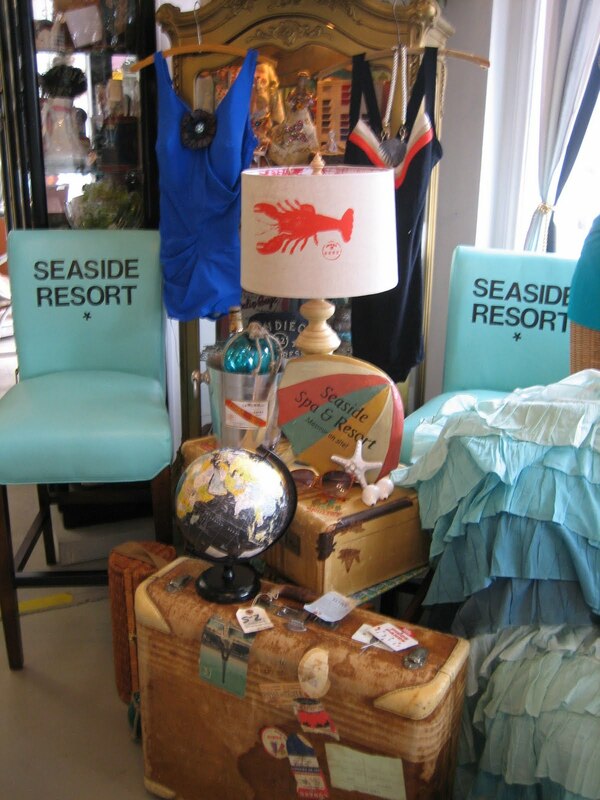 Food, fun, libation in addition to seaside entertaining ideas, vintage décor, accessories & a French Flea Market…Start packing your bags - Your ultimate seaside shopping adventure is about to begin! 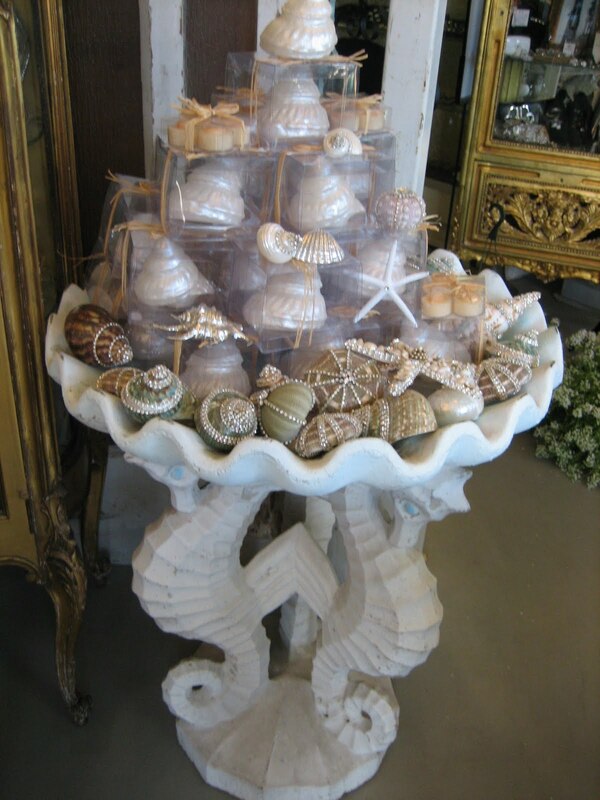 We are so proud to feature an extraordinary grouping of The Shell Room’s Summer Collection at our seaside fete on May 28th. 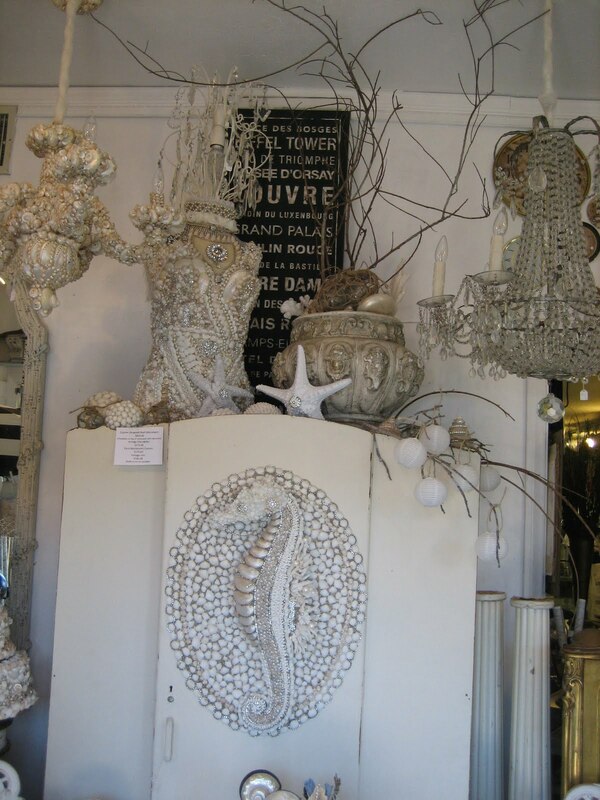 tres magnifique demi-lunes & absolutely one-of-a-kind chandeliers all elegantly & abundantly embellished with Neptune’s gems. 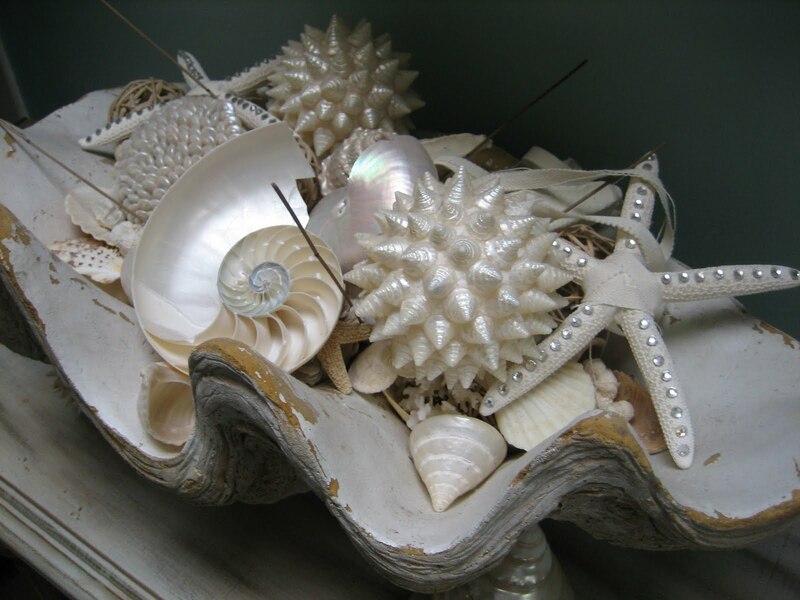 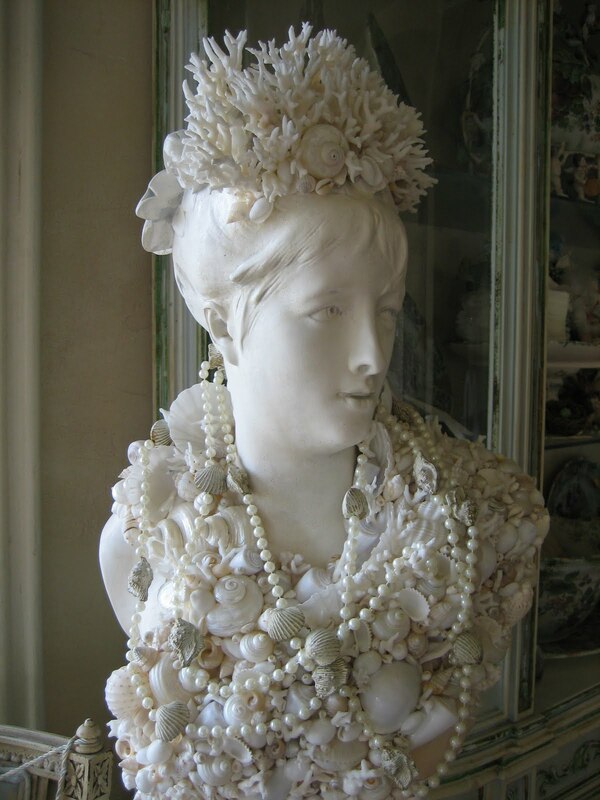 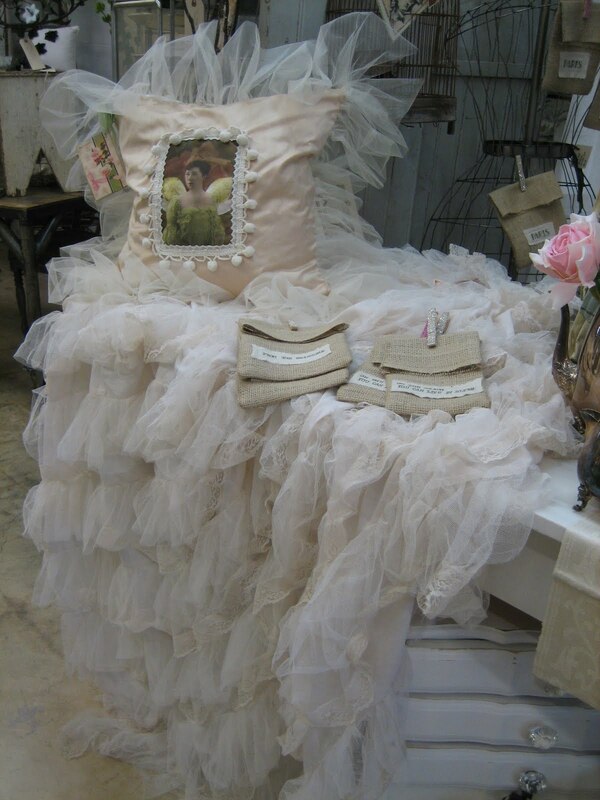 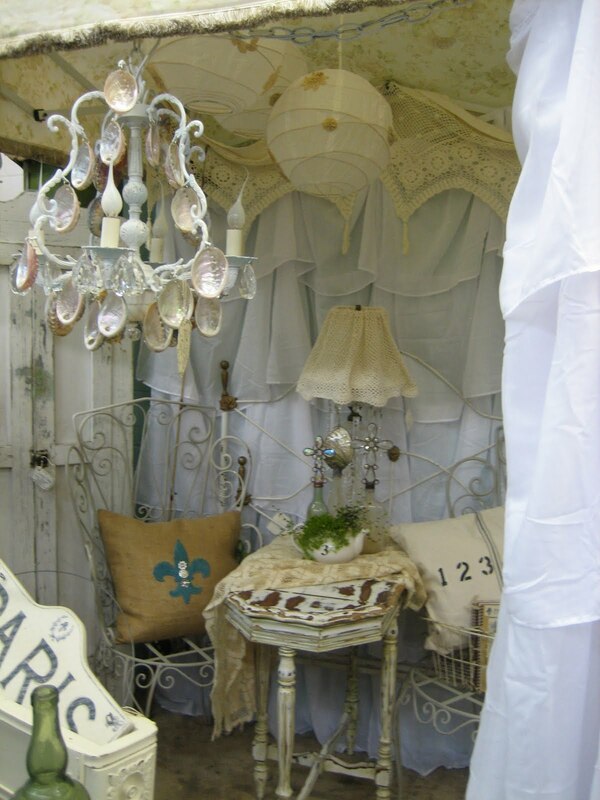 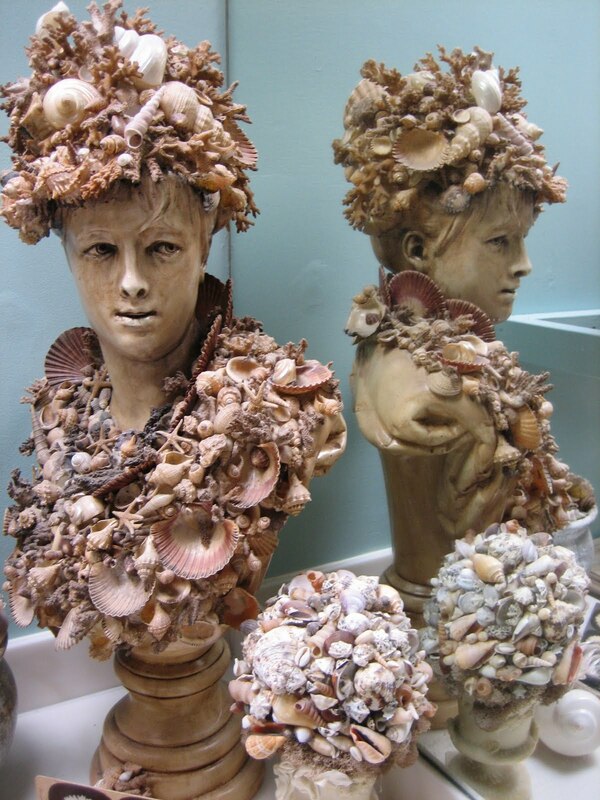 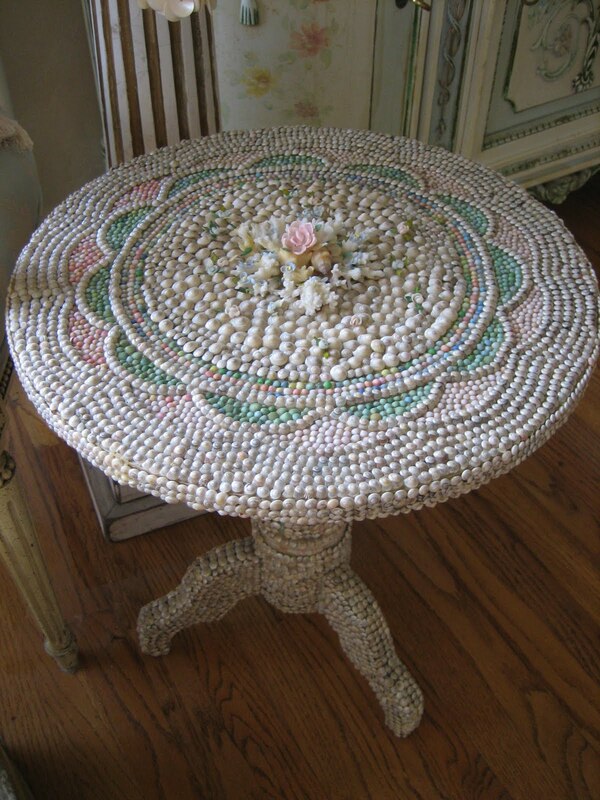 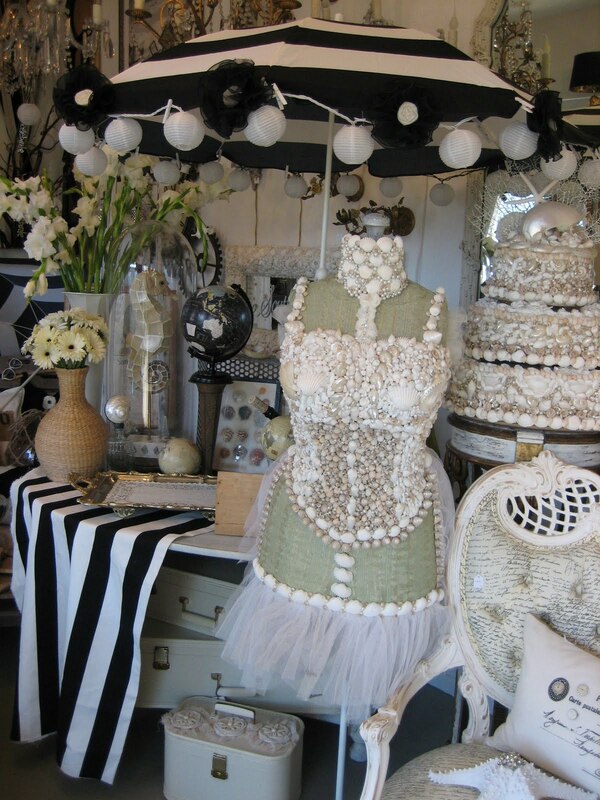 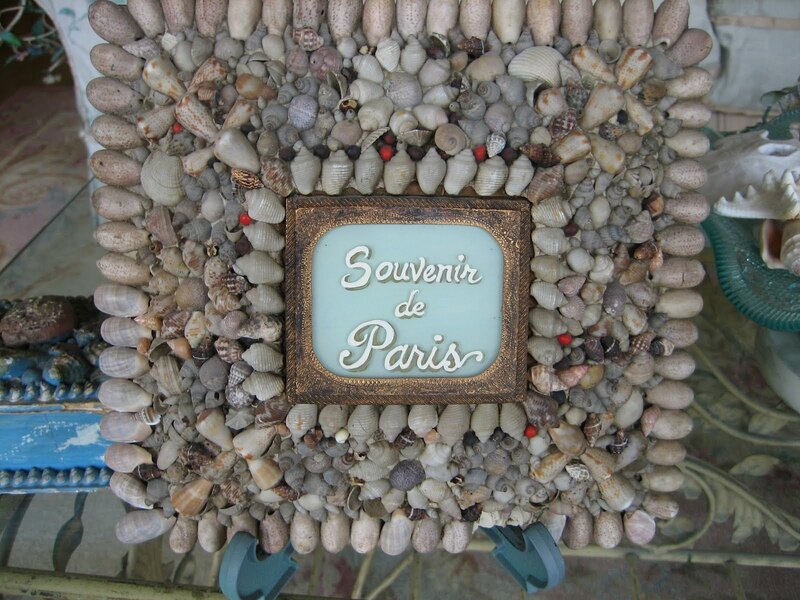 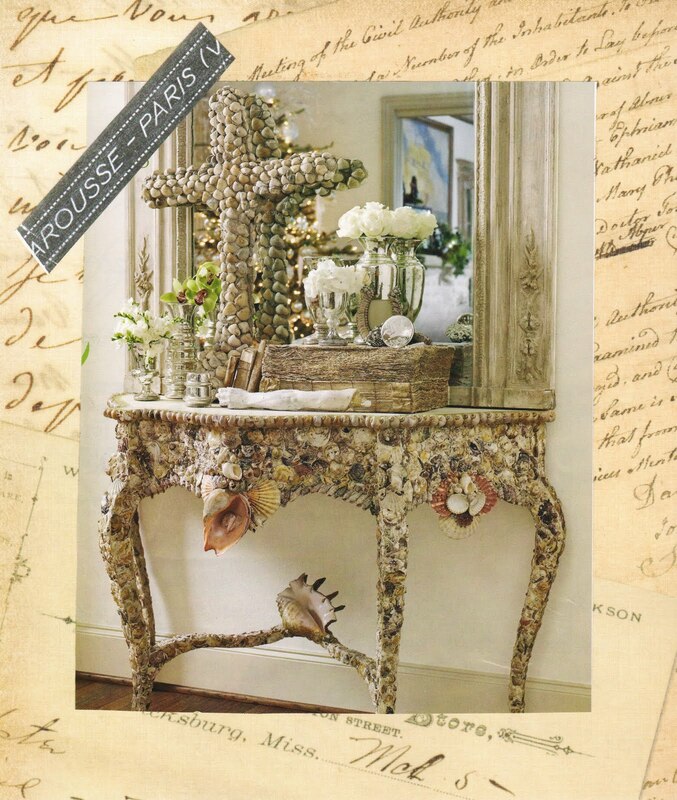 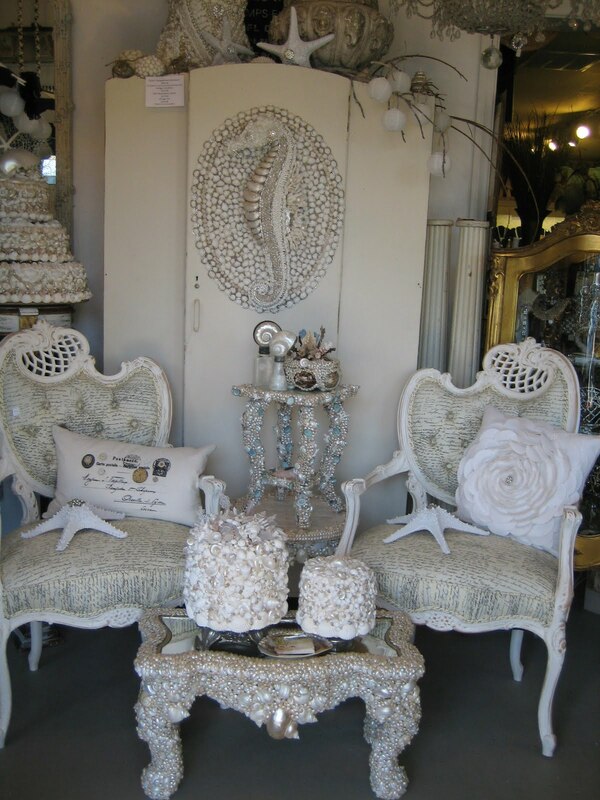 Bonnie creates jaw-dropping, awe-inspiring seashell encrusted furnishings & accessories & every piece of her opulent mother of pearl creations becomes le piece de resistance! 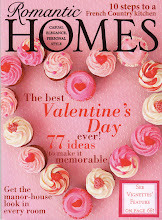 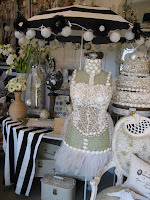 No wonder she now designs for homes all over the world & exclusively for the royal family of Norway. 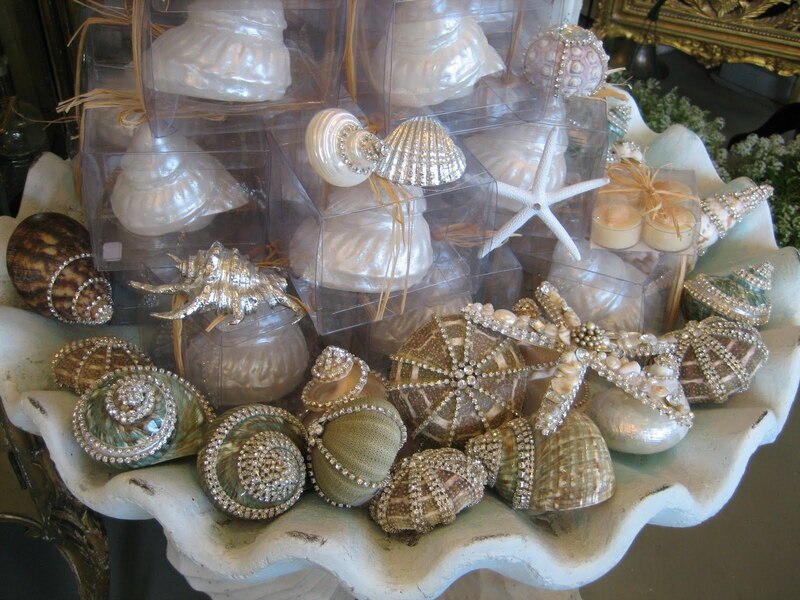 Come take in her gorgeous shell décor that just washed up on our shore. SUMMER IS THE NEW BLACK! 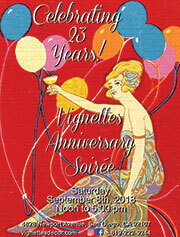 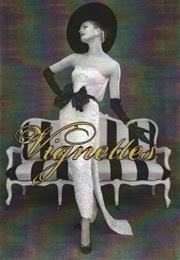 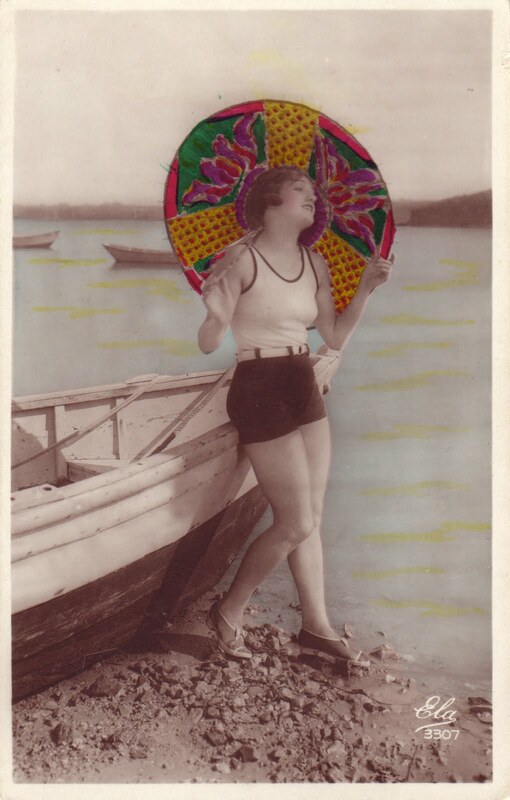 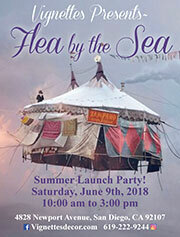 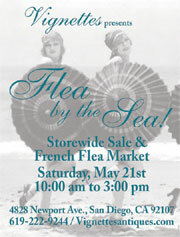 See you on Saturday, May 28th from Noon to 5:00 pm for our Seaside Fete - Tres Magnifique! 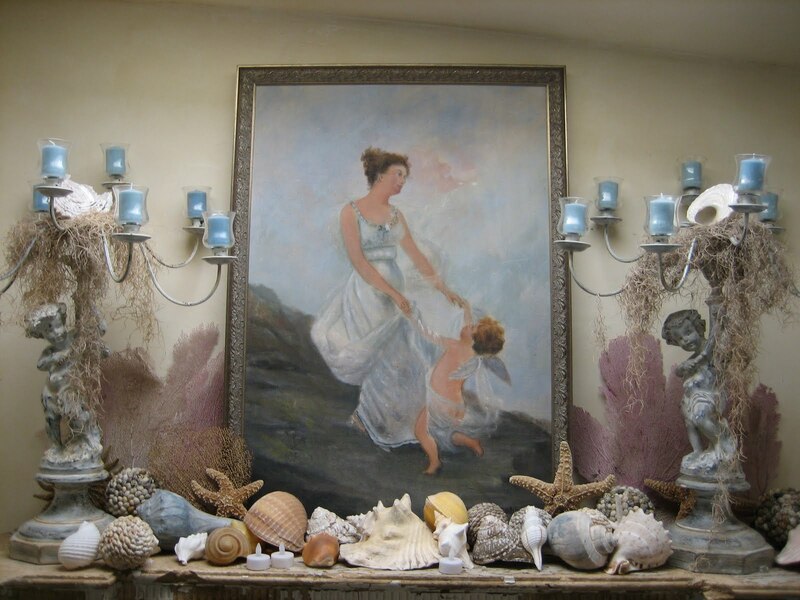 From Karen Lampard's French Riviera Swim Shoppe, to Sandra Finn's Petite Caravan de Francaise, to The Shell Room's opulent seashell masterpieces, to Miss Frenchy's summer afternoon on the Isle of Capri, there is decor, whimsy, bathing beauties & seaside entertaining ideas everywhere you look - & a flea market in our back lot! 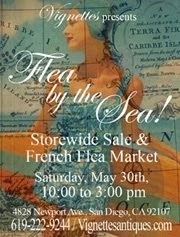 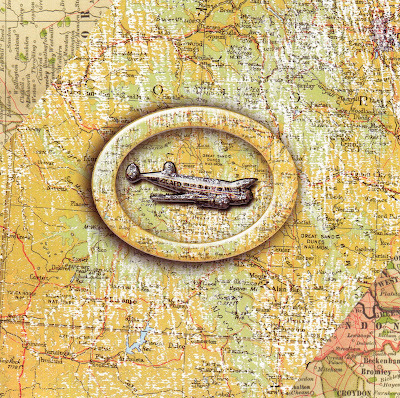 We are officially kicking off summer 2011 & you won't want to miss it! 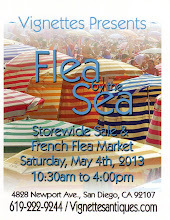 Beaucoup fun under the sun - we'll see you here. 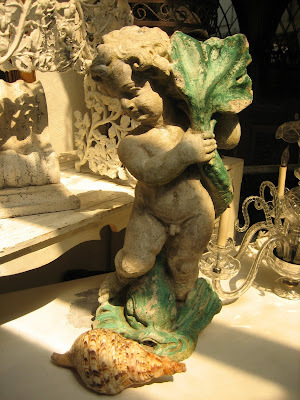 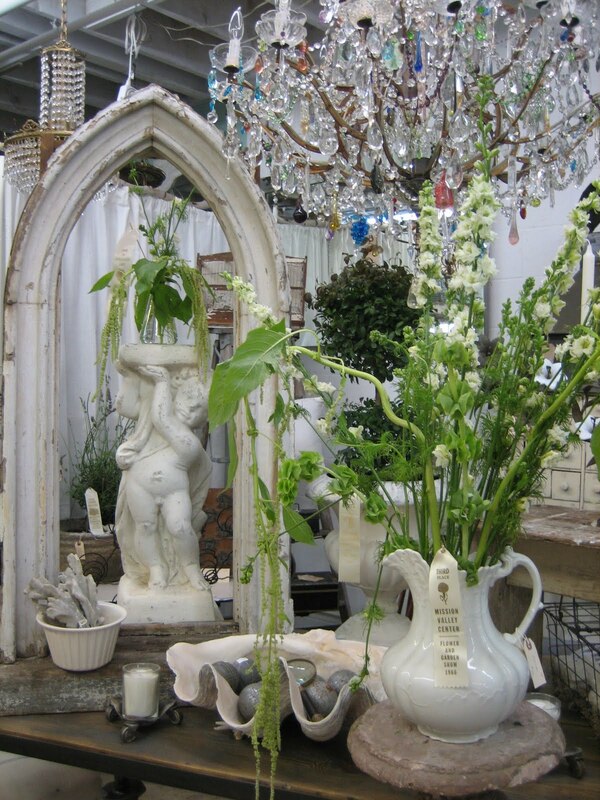 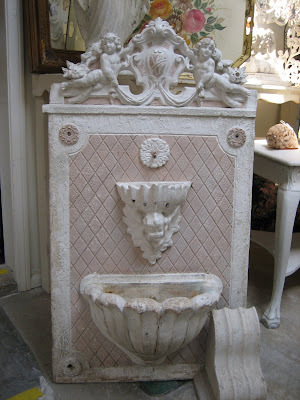 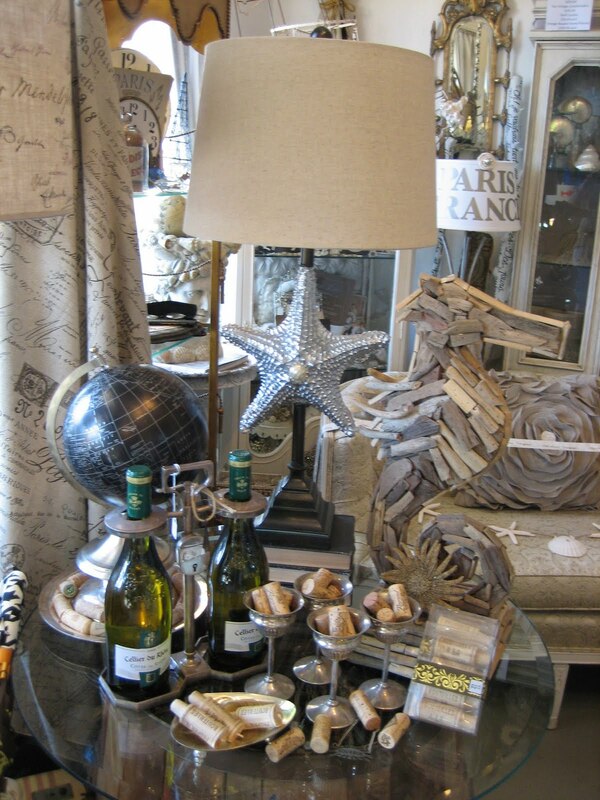 Come in for a splash of our shimmering, summertime accessories - fabulous, faded French finds & beaucoup outdoor splendor – all aged to perfection & perfectly picked for grand seaside entertaining. 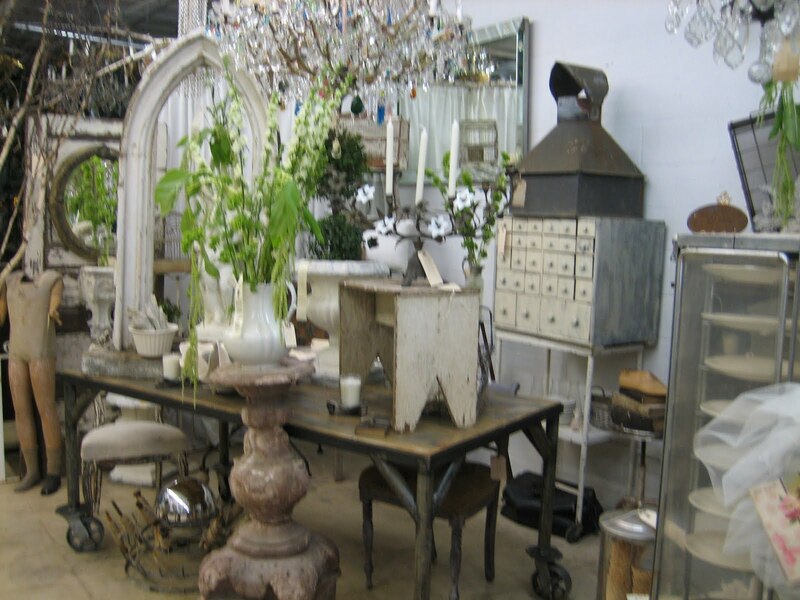 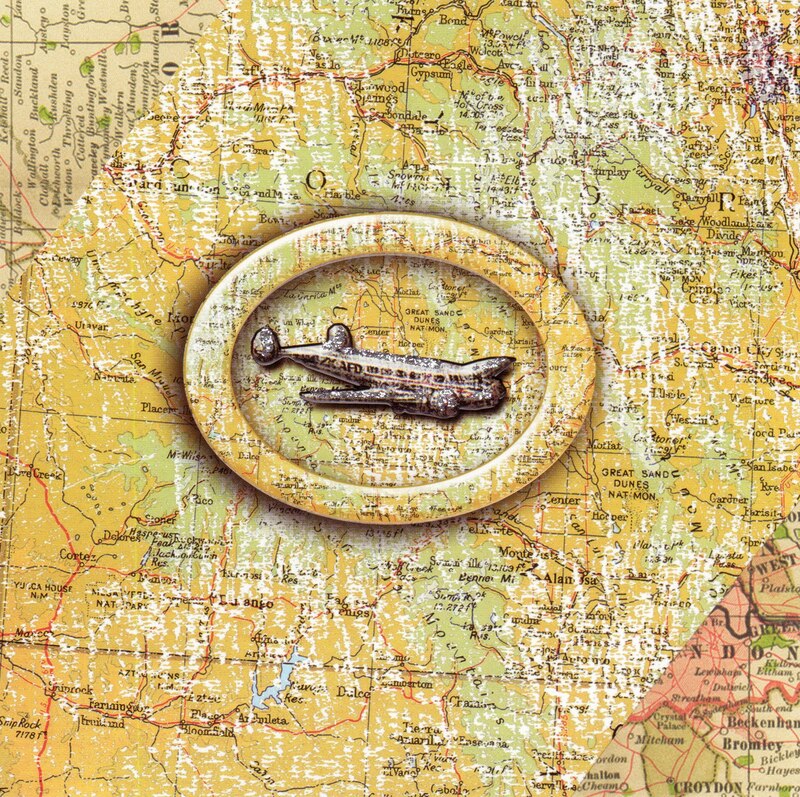 Whether you’re bringing the outdoors in this summer or looking to magnificently furnish the grand outdoors – we have all the gorgeous décor, reminiscent of the French Riviera, circa 1940 that you’re looking for. 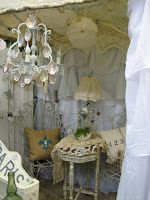 & it’s not just for the kiddies anymore! 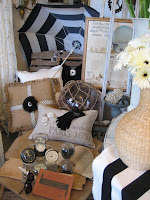 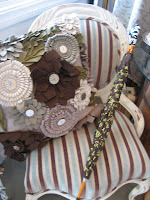 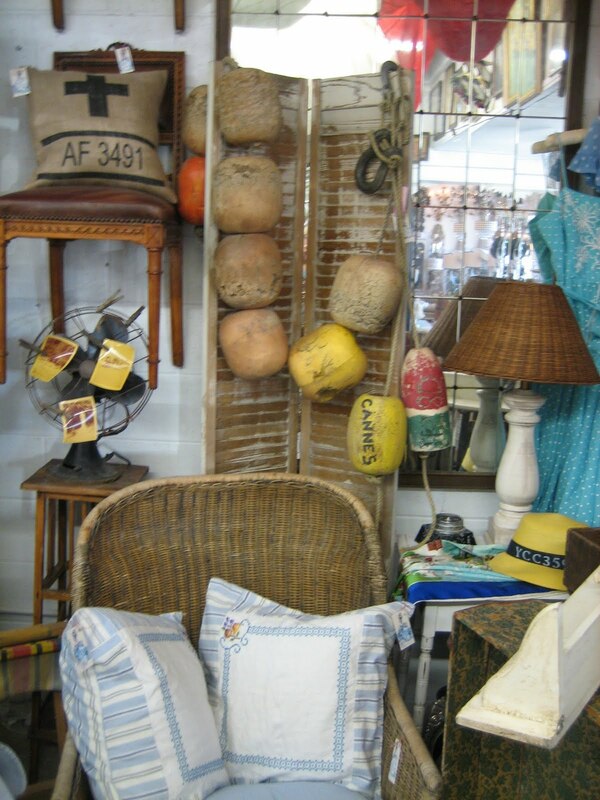 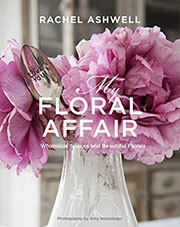 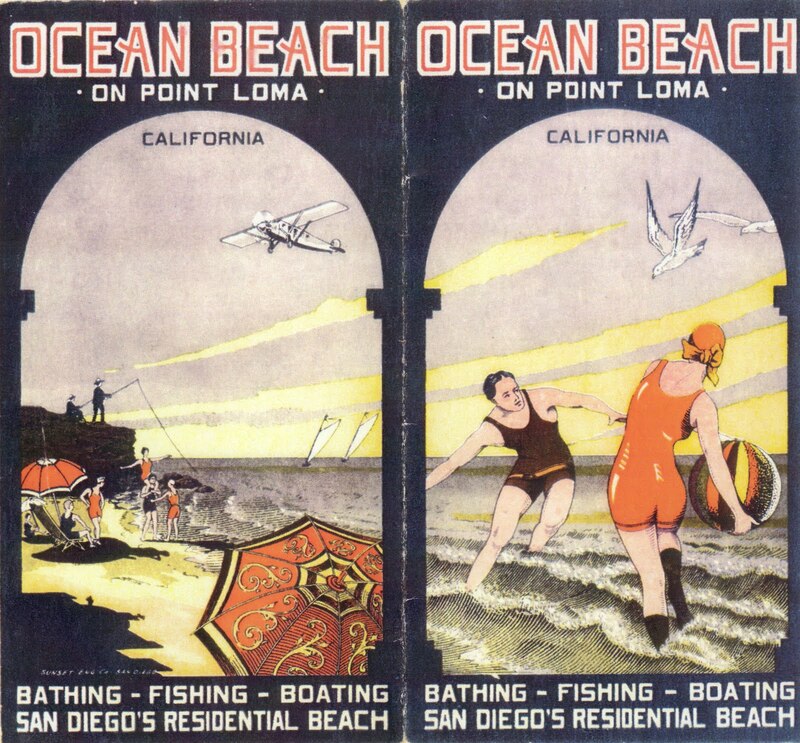 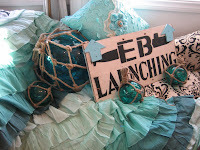 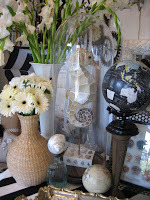 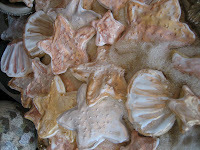 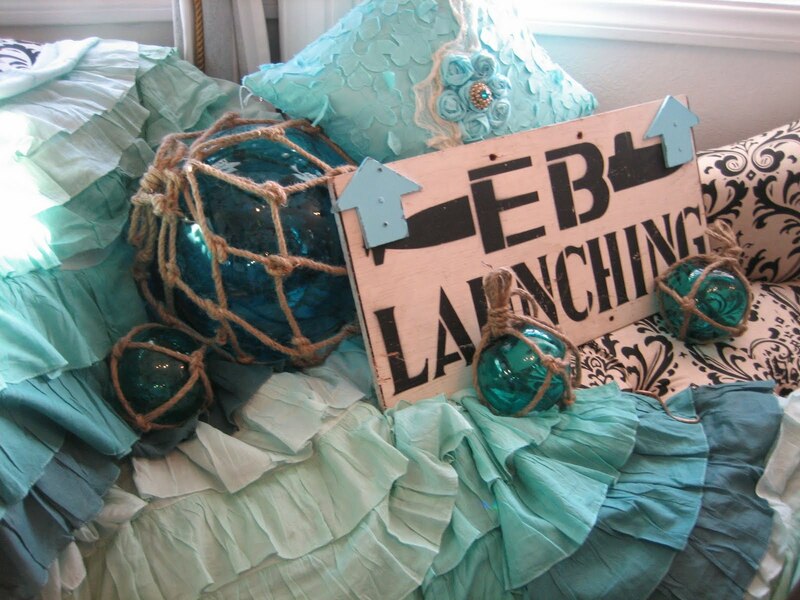 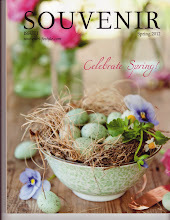 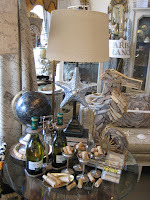 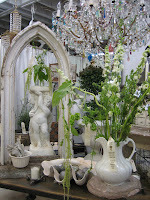 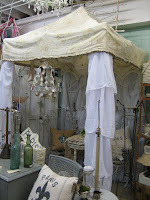 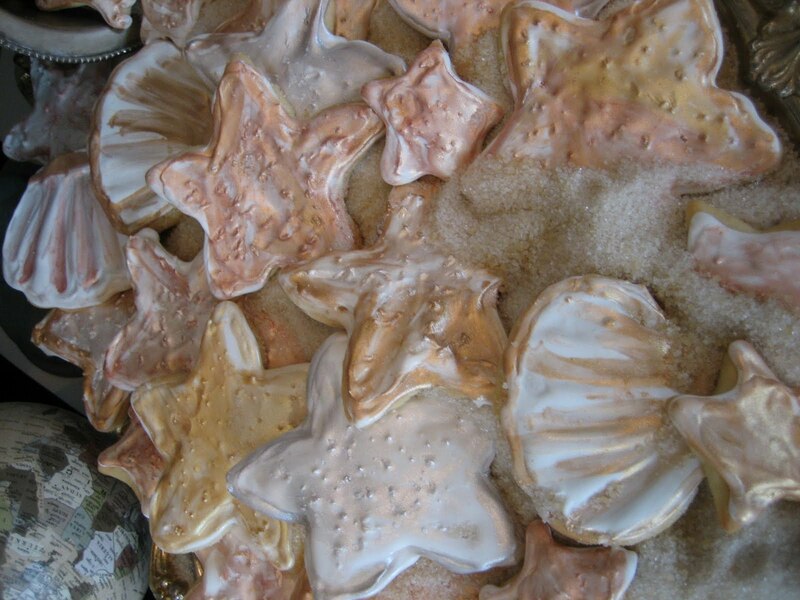 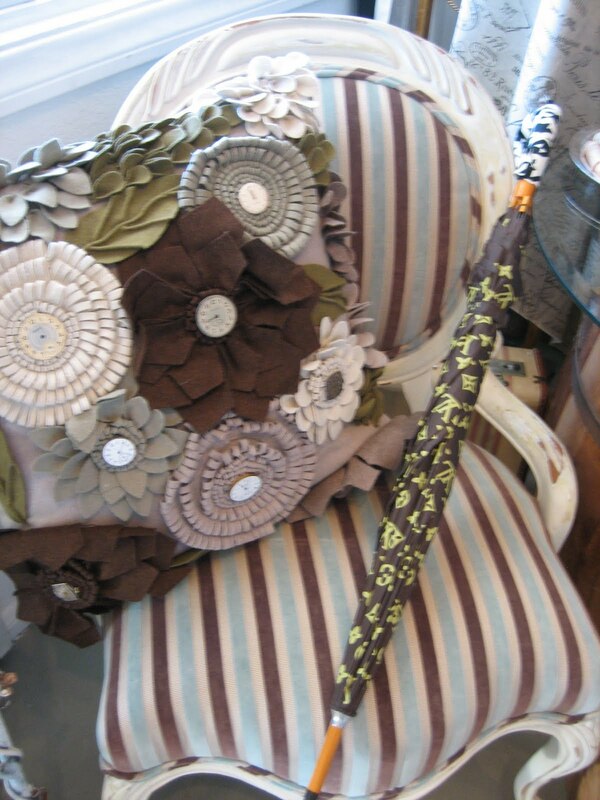 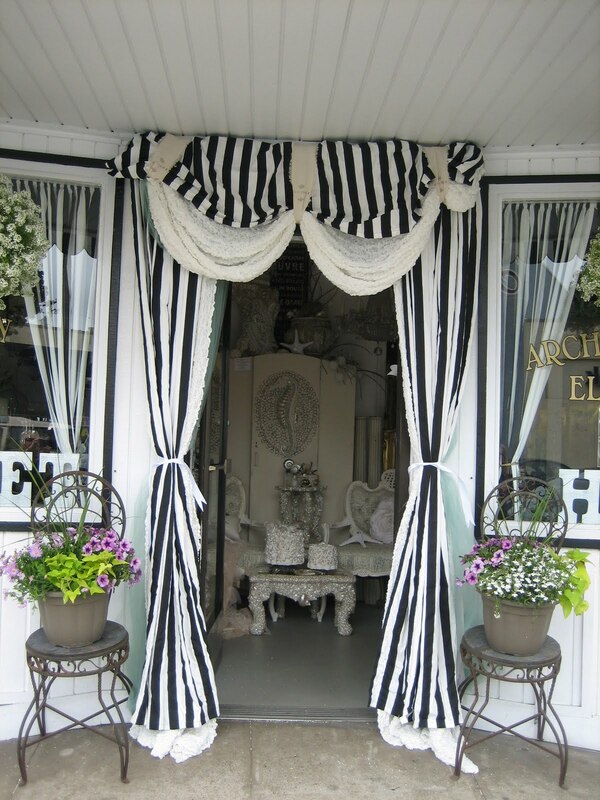 Drop in on Saturday, May 28th & take a peek - the weather’s beautiful & so is our seaside décor.